Taiwan independence movement is a political movement whose goals for independence have arisen from international law in relation to the 1952 Treaty of San Francisco. 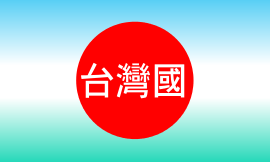 They contend that when Japan renounced all rights to the island of Taiwan and Penghu, they did not specify the successor state, and consequently the sovereignty of the two territories should one day be determined by Taiwanese people through self-determination. This movement is supported by the Pan-Green Coalition in Taiwan, but opposed by the Pan-Blue Coalition which seeks to retain the somewhat ambiguous status quo of the ROC under the 1992 consensus, or gradually reunify with mainland China at some point. Due to the PRC's claim of sovereignty over Taiwan and repeated military threats made by the PRC, a formal declaration of independence could lead to a military confrontation between Taiwan and China, possibly escalating and involving other countries, such as the United States and Japan. The use of independence for Taiwan can be ambiguous. 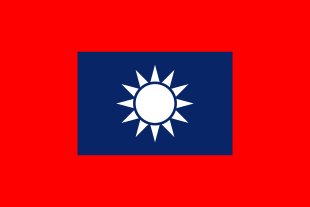 If some supporters articulate that they agree to the independence of Taiwan, they may either be referring to the notion of formally creating an independent Republic of Taiwan, or to the notion that Taiwan has become synonymous with the current Republic of China and is already independent (as reflected in the concept of One Country on Each Side), these ideas run counter to the claims of the People's Republic of China. Some supporters advocate the exclusion of Kinmen and Matsu, which are still being controlled by Republic of China but are in fact part of the definition of mainland China. Therefore, the differences between the opinions of different camps in support and against independence can be very subtle. From 1683 to 1894, both Taiwan and mainland China were ruled by the Qing Empire. Following the First Sino-Japanese War in 1895, Taiwan was ceded by Qing government to the Empire of Japan via the Treaty of Shimonoseki. At the end of World War II in 1945, Taiwan was taken over by the ROC, which was widely recognized as China. Since the defeat and expulsion of the ruling Kuomintang ROC government by the Communist Party of China from mainland China in 1949, the ROC government has controlled only Taiwan and its surrounding islands. It is a point of contention as to whether Taiwan has already achieved de facto independence under the Constitution of the Republic of China amended in 2005. "Terror In Formosa", a news article from The Daily News of Perth, reported the status in March. 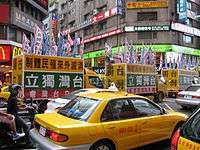 Modern-day political movement for Taiwan independence dates back to the Japanese colonial period but only became a viable political force within Taiwan in the 1990s. Taiwanese independence was advocated periodically during the Japanese colonial period, but was suppressed by the Japanese government. 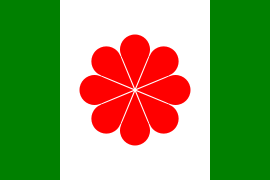 These efforts were the goal of the Taiwanese Communist Party of the late 1920s. Unlike current formulations, and in line with the thinking of the Comintern, such a state would have been a proletarian one. 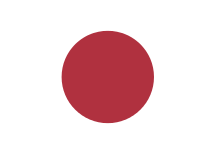 With the end of World War II in 1945, Japanese rule ended, but the subsequent autocratic rule of the ROC's Kuomintang (KMT) later revived calls for local rule. However, it was a movement supported by the Chinese students who were born on the Island and not associated with KMT. It found its roots in the US and Japan. 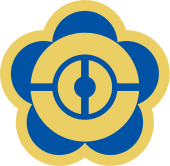 In the 1950s a Republic of Taiwan Provisional Government was set up in Japan. Thomas Wen-I Liao was nominally the President. At one time it held quasi-official relations with the newly independent Indonesia. This was possible mainly through the connections between Sukarno and the Provisional Government's Southeast Asian liaison, Chen Chih-hsiung, who had assisted in Indonesia's local resistance movements against the Japanese rule. Several scholars drafted various versions of a constitution, as both political statement or vision and as intellectual exercise. Most of these drafts favor a bicameral parliamentary rather than presidential system. In at least one such draft, seats in the upper house would be divided equally among Taiwan's established ethnicities. In the 1980s the Chinese Nationalist government considered publication of these ideas criminal. In the most dramatic case, it decided to arrest the pro-independence publisher Cheng Nan-jung for publishing a version in his Tang-wai magazine, Liberty Era Weekly (自由時代週刊). Rather than giving himself up, Cheng self-immolated in protest. 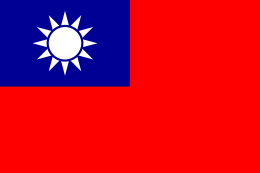 Other campaigns and tactics toward such a State have included soliciting designs from the public for a new national flag (see images above) and anthem (for example, Taiwan the Formosa). More recently the Taiwan Name Rectification Campaign (台灣正名運動) has played an active role. More traditional independence supporters, however, have criticized name rectification as merely a superficial tactic devoid of the larger vision inherent in the Republic of Taiwan agenda. 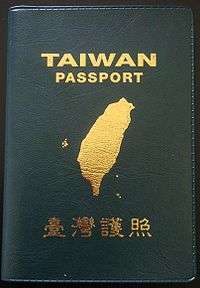 A so-called passport of Taiwan, which cannot be used. In February 2007, President Chen Shui-bian initiated changes to names state-owned enterprises, and the nation's embassies and overseas representative offices. As a result, Chunghwa Post Co. (中華郵政) was renamed Taiwan Post Co (臺灣郵政) and Chinese Petroleum Corporation (中國石油) is now called CPC Corporation, Taiwan (臺灣中油) and the signs in Taiwan's embassies now display the word "Taiwan" in brackets after "Republic of China". In 2007, the Taiwan Post Co. issued stamps bearing the name "Taiwan" in remembrance of the February 28 Incident. However, the name of the post office was reverted to 'Chunghwa Post Co.' following the inauguration of Kuomintang president Ma Ying-jeou in 2008. The Pan-Blue camp voiced its opposition to the changes and the former KMT Chairman Ma Ying-jeou said that it would generate diplomatic troubles and cause cross-strait tensions. It also argued that without a change in the relevant legislation pertaining to state-owned enterprises, the name changes of these enterprises could not be valid. As the Pan-Blue camp held a slim parliamentary majority throughout the administration of President Chen, the Government's motion to change the law to this effect were blocked by the opposition. Later, U.S. Department of State spokesman Sean McCormack said that the U.S. does not support administrative steps that would appear to change Taiwan's status or move toward independence. Former president Lee Teng-hui has stated that he never pursue Taiwanese independence. Lee views Taiwan as already an independent state, and that the call for "Taiwanese independence" could even confuse the international community by implying that Taiwan once viewed itself as part of China. From this perspective, Taiwan is independent even if it remains unable to enter the UN. Lee said the most important goals are to improve the people's livelihoods, build national consciousness, make a formal name change and draft a new constitution that reflects the present reality so that Taiwan can officially identify itself as a country. 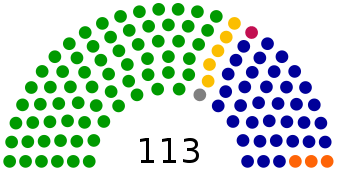 Legislative elections were held on January 12, 2008, resulting in a supermajority (86 of the 113 seats) in the legislature for the Kuomintang (KMT) and the Pan-Blue Coalition. President Chen Shui-bian's Democratic Progressive Party was handed a heavy defeat, winning only the remaining 27 seats. The junior partner in the Pan-Green Coalition, the Taiwan Solidarity Union, won no seats. Two months later, the election for the 12th-term President and Vice-President of the Republic of China was held on Saturday, March 22, 2008. Kuomintang (KMT) nominee Ma Ying-jeou won, with 58% of the vote, ending eight years of Democratic Progressive Party rule. Along with the 2008 legislative election, Ma's landslide victory brought the Kuomintang back to power in Taiwan. Following his election, Ma Ying-jeou publicly stated that he did not wish his inauguration commemoration stamps to be marked "Taiwan Post", because the name change was "illegal". In respect of the administration's wishes, the postal service marked the inauguration stamps with Chinese characters for the "Republic of China", as well as "Republic of China (Taiwan)" in English. 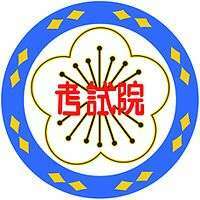 On August 1, 2008, the Board of Directors of Taiwan Post Co. resolved to reverse the name change and restored the name "Chunghwa Post". The Board of Directors, as well as resolving to restore the name of the corporation, also resolved to re-hire the chief executive dismissed in 2007, and to withdraw defamation proceedings against him. The Executive Yuan on August 21, 2008, under the new Ma Administration, officially restored the name "National Chiang Kai-Shek Memorial Hall" to the hall commemorating late President Chiang Kai-Shek, which had been renamed "National Taiwan Democracy Memorial Hall by the Chen Administration, sparking off a standoff between the Central Government of President Chen and the Taipei Municipal Government run by then-Mayor Ma Ying-jeou. Tsai Ing-wen's led second DPP administration stormed to a landslide victory over the hapless KMT on May 20, 2016. They have stated they would want to remain the current political status of Taiwan, though the PRC government maintain to criticize the Taiwanese government, as the DPP administration refuse to officially recognize the so-called One China policy of China. Domestically, the issue of independence has dominated Taiwanese politics for the past few decades. This is also a grave issue for mainland China. The creation of the Republic of Taiwan is formally the goal of the Taiwan Solidarity Union and former President Lee Teng-hui. 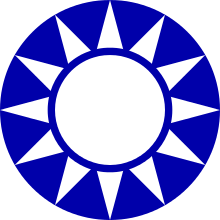 Although the Democratic Progressive Party was originally also an advocate for both the idea of the Republic of Taiwan and Taiwan independence, they take a middle line in which a sovereign, independent Taiwan is identified with the "Republic of China (Taiwan)" and its symbols. 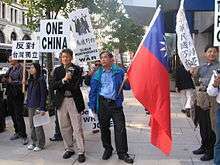 Internationally, this movement is significant in that a formal declaration of independence is one of the five conditions the PRC has stated or implied under which it will take military action against Taiwan to force reunification — the other four being that Taiwan makes a military alliance with a foreign power, there is internal turmoil in Taiwan, Taiwan gains weapons of mass destruction, or Taiwan shows no will to negotiate on the basis of "one China". Chinese government warned that if the situation in Taiwan becomes "worse" it will not look on "indifferently." Given the terms of the Taiwan Relations Act, this raises the possibility of a superpower conflict in East Asia.) The United States would likely be obligated to come to the aid of Taiwan under the terms of the Act according to US domestic law. However, this interpretation of the Act is disputed. 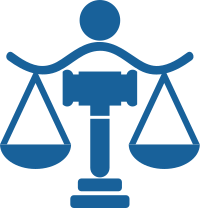 Constitutional law requires that a normal declaration of war be sought by the President of the United States in an act of Congress signed by the President. The questions of independence and the island's relationship to mainland China are complex and inspire very strong emotions among Taiwanese people. There are some who continue to maintain the KMT position that the ROC is the sole legitimate government for all of China (including Taiwan) and that the aim of the government should be eventual reunification of the mainland and Taiwan under the rule of the ROC. Some argue that Taiwan has been, and should continue to be, completely independent from China and should become a sovereign nation under the name Republic of Taiwan. Then, there are numerous positions running the entire spectrum between these two extremes. On October 25, 2004, in Beijing, the U.S. Secretary of State Colin Powell said Taiwan is "not sovereign", provoking strong comments from both the Pan-Green and Pan-Blue coalitions – but for very different reasons. From the DPP's side, President Chen declared that "Taiwan is definitely a sovereign, independent country, a great country that absolutely does not belong to the People's Republic of China". The TSU (Taiwan Solidarity Union) criticized Powell, and questioned why the US sold weapons to Taiwan if it was not a sovereign state. From the KMT, Chairman Ma Ying-jeou announced that "the Republic of China has been a sovereign state ever since it was formed [in 1912]". The pro-unification PFP Party Chairman, James Soong, called it "Taiwan's biggest failure in diplomacy". The first view considers the move for Taiwan independence as a nationalist movement. This is the opinion, historically, put forward by such pro-independence groups on Taiwan as the tang wai movement (which later grew into the Democratic Progressive Party), which argue that the ROC under the Kuomintang has been in the past a "foreign regime" forcibly imposed on Taiwan. Since the 1990s, supporters of Taiwan independence no longer actively make this argument. Instead, the argument has been that in order to survive against the growing power of the PRC, Taiwan must view itself as a separate and distinct entity from "China". 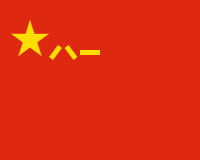 This involves removing the name of China from official and unofficial items in Taiwan, making changes in history books to focus mainly on Taiwan as a central entity, promoting the use of Taiwanese language including in government and education, reducing economic links with mainland China, and in general thinking of Taiwan as a separate entity. In this view, China is a foreign entity, and the goal of this movement is to create an internationally recognized country which is separate from any concept of China. Kinmen and Matsu off the coast of Fujian and some of the islands in the South China Sea, which are historically not part of Taiwan, are to be excluded from the proposed state of Taiwan. Some supporters of Taiwan independence argue that the Treaty of San Francisco justifies Taiwan independence by not explicitly granting Taiwan to either the ROC or the PRC. This legal justification is rejected by both the PRC and ROC governments. It is also thought that if formal independence were declared, Taiwan's foreign policies would lean further towards Japan and the United States and the desirable option of United Nations Trusteeship Council is also considered. A second view is that Taiwan is already an independent nation with the official name "Republic Of China", which has been independent (i.e. 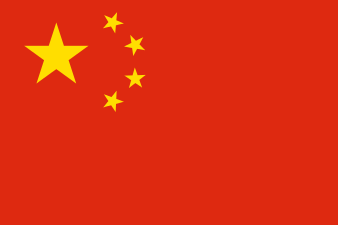 de facto separate from mainland China) since the end of the Chinese Civil War in 1949, when the ROC lost control of mainland China, with only Taiwan (including the Penghu islands), Kinmen, the Matsu Islands off the coast of Fujian Province, and some of the islands in the South China Sea remaining under its administration. Although previously no major political faction adopted this pro-status quo viewpoint, because it is a "compromise" in face of PRC threats and American warnings against a unilateral declaration of independence, the DPP combined it with their traditional belief to form their latest official policy. This viewpoint has not been adopted by more radical groups such as the Taiwan Solidarity Union, which favor only the third view described above and are in favor of a Republic or State of Taiwan. In addition, many members of the Pan-Blue Coalition are rather suspicious of this view, fearing that adopting this definition of Taiwan independence is merely an insincere stealth tactical effort to advance desinicization and the third view of Taiwan independence. As a result, supporters of pan-blue tend to make a clear distinction between Taiwan independence and Taiwan sovereignty, while supporters of Pan-Green tend to try to blur the distinction between the two. Most Taiwanese and political parties of the ROC support the status quo, and recognize that this is de facto independence through sovereign self-rule. Even among those who believe Taiwan is and should remain independent, the threat of war from PRC softens their approach, and they tend to support maintaining the status quo rather than pursuing an ideological path that could result in war with the PRC. When the two-states policy was put forward by President Lee Teng-hui, he received 80 percent support. A similar situation arose when President Chen Shui-bian declared that there was "one country on each side" of the Taiwan Strait. The parties disagree, sometimes bitterly, on such things as territory, name (R.O.C. or Taiwan), future policies, and interpretations of history. 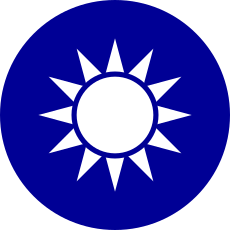 The Pan-Blue Coalition and the PRC believe that Lee Teng-hui and Chen Shui-bian are intent on publicly promoting a moderate form of Taiwan independence in order to advance secretly deeper forms of Taiwan independence, and that they intend to use popular support on Taiwan for political separation to advance notions of cultural and economic separation. The third view, put forward by the government of the PRC, defines Taiwan independence as "splitting Taiwan from China, causing division of the nation and the people." What PRC claims by this statement is somewhat ambiguous according to supporters of Taiwanese independence, as some statements by the PRC seem to identify China solely and uncompromisingly with the PRC, and others indicate a broader and more flexible definition suggesting a cultural and geographic entity of which both mainland China and Taiwan are parts but divided politically due to the Chinese Civil War. 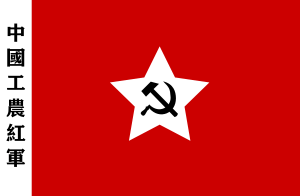 The PRC considers itself the sole legitimate government of all China, and the ROC to be a defunct entity replaced in the Communist revolution which succeeded in 1949. Therefore, assertions that the ROC is a sovereign state are construed as support for Taiwan independence while proposals to change the name of the ROC to Republic of Taiwan are paradoxically met with even more disapproval since this would be the equivalent of formally dropping the notion that Taiwan is part of the greater China entity (as a side of an unresolved Chinese civil war). Before the passing of UN Resolution 2758 in 1971, the Republic of China was recognized as the legal government of China by the UN. Afterwards, the PRC became recognized as the legal government of China by the UN. During PRC President Hu Jintao's visit to the United States on 20 April 2006, U.S. President George W. Bush reaffirmed to the world that the U.S. would uphold its "one China" policy. The official position of the PRC is that Taiwan is a province of China, and has "always" been part of China. The PRC often claims independence is wanted by only a small group, and that this group is trying to brainwash the local population to support this objective. 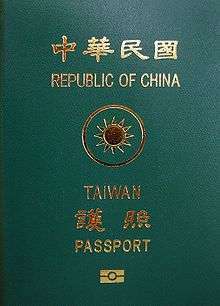 In the 2000 White Paper, the PRC government stated that the people of Taiwan do not have the right to determine their own fate by declaring independence through a referendum or otherwise because "The sovereignty over Taiwan belongs to all the Chinese people including Taiwan compatriots, and not to some of the people in Taiwan." The paper further stated that unification with mainland China is the only option. Efforts to change names of official buildings, government organizations, tributary monuments by replacing "China" with "Taiwan" have met with opposition – whether this is due to a political view that Taiwan is part of China or out of concern that such actions may result in retaliation or invasion from Beijing is unclear. ↑ U.S.-Taiwan Defense Relations in the Bush Administration, Heritage Foundation (noting the policy of President George W. Bush toward Taiwan's defense). ↑ Li, Thian-hok (April 15, 1956). "Our Historical Struggle for Liberty". Free Formosans' Formosa Newsletter. Free Formosans' Formosa. ↑ Hsiao, Frank; Sullivan, Lawrence (1979). "The Chinese Communist Party and the Status of Taiwan, 1928-1943". Pacific Affairs. Pacific Affairs, Vol. 52, No. 3. 52 (3): 446–467. doi:10.2307/2757657. JSTOR 2757657. ↑ "Methods of Acquiring Sovereignty: PRESCRIPTION". Related Topics: Sovereignty. Taiwan Documents Project. ↑ Li, Thian-hok (1958). "The China Impasse, a Formosan view" (PDF). Foreign Affairs. 36 (3): 437–448. doi:10.2307/20029298. 1 2 Peter R. Moody (1977). Opposition and dissent in contemporary China. Hoover Press. p. 302. ISBN 0-8179-6771-0. Retrieved 2010-11-30. ↑ Jay Taylor (2000). The Generalissimo's son: Chiang Ching-kuo and the revolutions in China and Taiwan. Harvard University Press. p. 195. ISBN 0-674-00287-3. Retrieved 2010-06-28. ↑ Nançy Bernkopf Tucker (1983). Patterns in the dust: Chinese-American relations and the recognition controversy, 1949-1950. Columbia University Press. p. 181. ISBN 0-231-05362-2. Retrieved 2010-06-28. ↑ Ross, Robert S. (March–April 2006). "Taiwan's Fading Independence Movement" (PDF). Foreign Affairs. Retrieved 2015-03-25. ↑ Jewel Huang (12 February 2007). "Analysis: Name changes reflect increasing 'Taiwan identity'". Taipei Times. p. 3. ↑ "Pan-green bickering takes focus off issues". Taipei Times. 10 March 2007. p. 8. ↑ "Taiwan and China in 'special relations': Ma". China Post. 2008-09-04. ↑ "The appropriate interpretation of Powell's statement" (in Chinese). People First Official Website. Retrieved 2008-05-10. ↑ "Treaty of San Francisco". text of the treaty. 1951. Archived from the original on 2007-09-04. Retrieved 2007-03-10. ↑ Chang, Yun-ping (22 April 2006). "Taiwan welcomes Bush remarks". Taipei Times. p. 1. ↑ White Paper--The One-China Principle and the Taiwan Issue "The only future for Taiwan is reunification with the Chinese mainland, and certainly not separation."